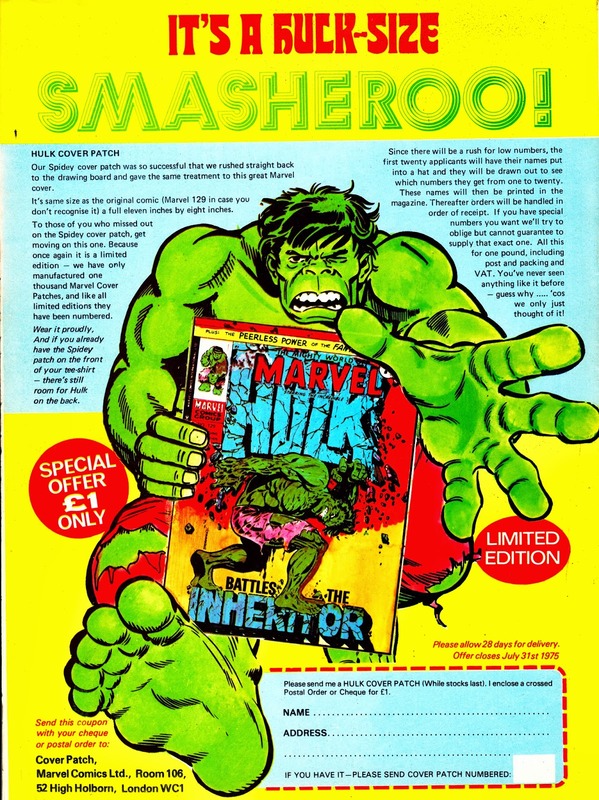 Here's a Mighty Marvel Mail Away from the past: the HULK COVER PATCH, as plugged in the UK weeklies during the Summer of 1975. SR, the things you dig up! I'd completely and utterly forgotten about this. What an amazing MWOM cover that was though!